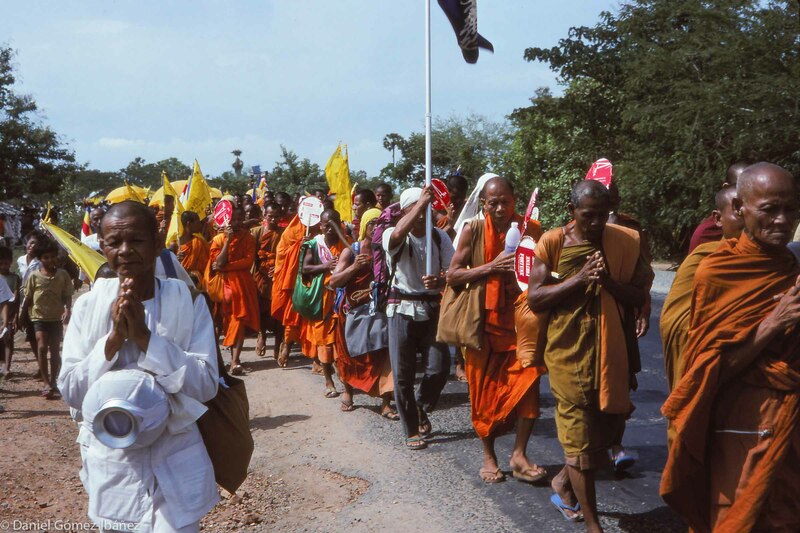 Each year the Peace Walk (Dhammayietra, or Pilgrimage of Truth) went through a different area in Cambodia. 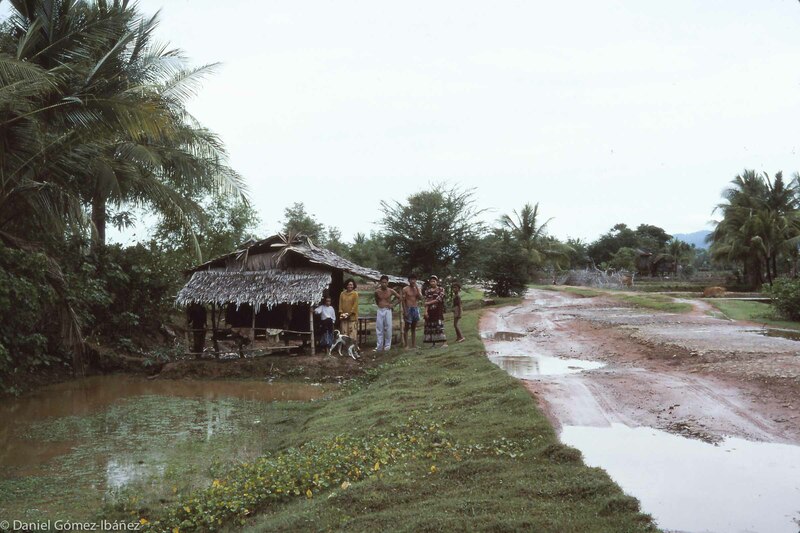 These walkers are in Takeo Province, south of Phnom Penh, in 1996. 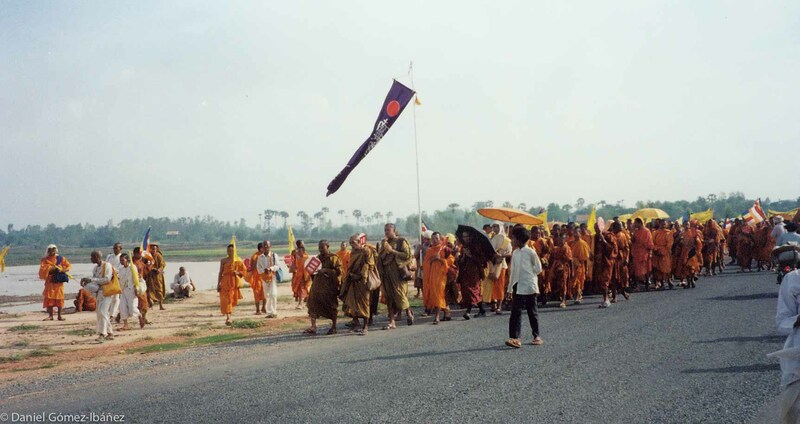 The Cambodian monks in saffron and nuns in white were joined by four Zen monks (darker robes) from Japan for the month-long peace walk in May, 1996. 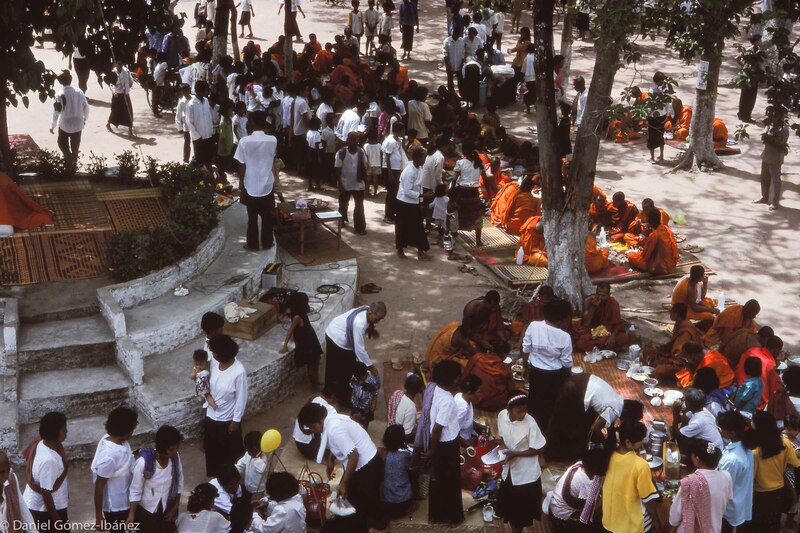 Because of the heat -- and because Theravada Buddhist monks may not take a meal after noon -- each day&apos;s walk ended before midday, usually at a pagoda. Women from nearby villages brought food. 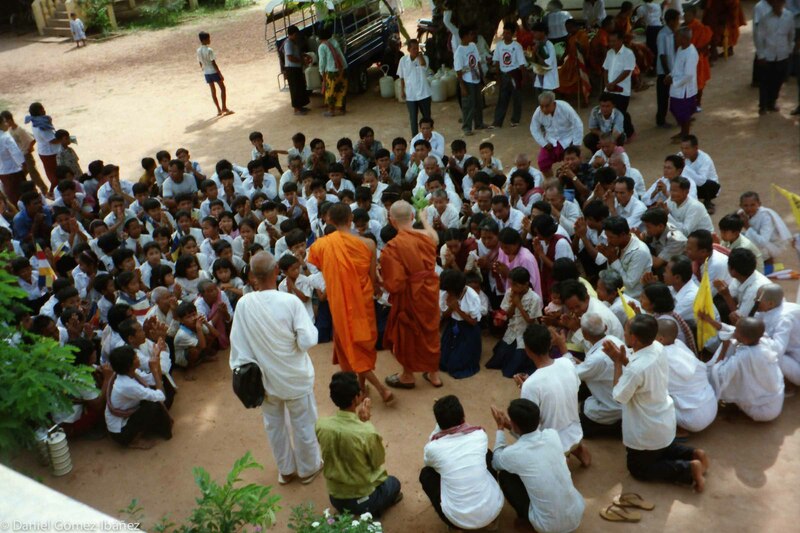 At a stop along the Dhammayietra&apos;s route villagers come to see and hear Maha Ghosananda, Buddhist patriarch of Cambodia and leader of the walk. 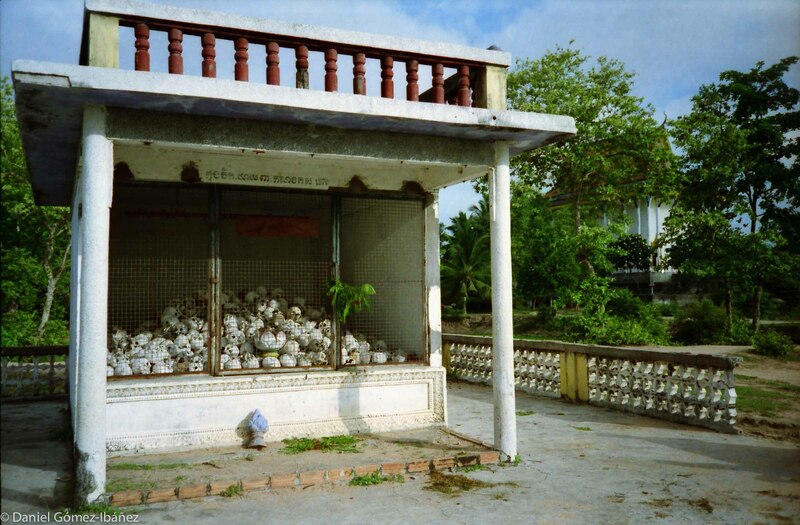 By 1978 almost all of Cambodia&apos;s Buddhist monks had been killed. 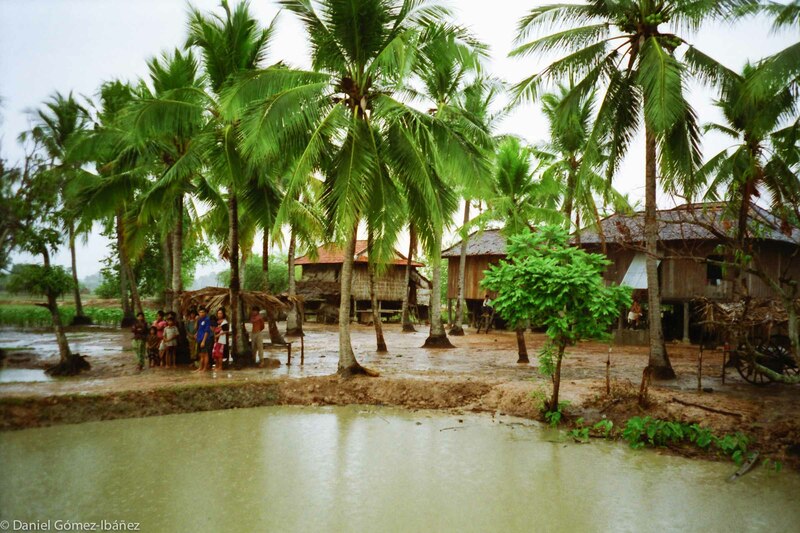 Ghosananda, who had been studying in Thailand, survived, and after his return in 1992 he restored Buddhism in Cambodia. 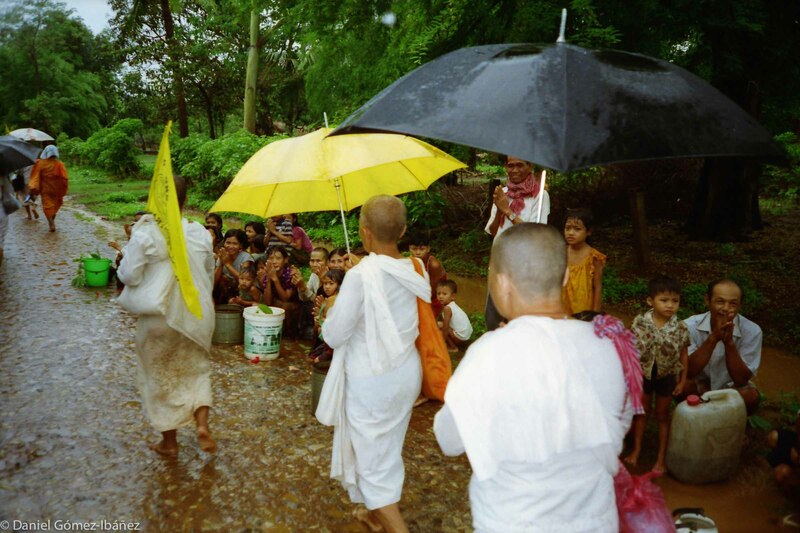 Cambodians from nearby villages lined the Dhammayietra&apos;s route to give and receive blessings. 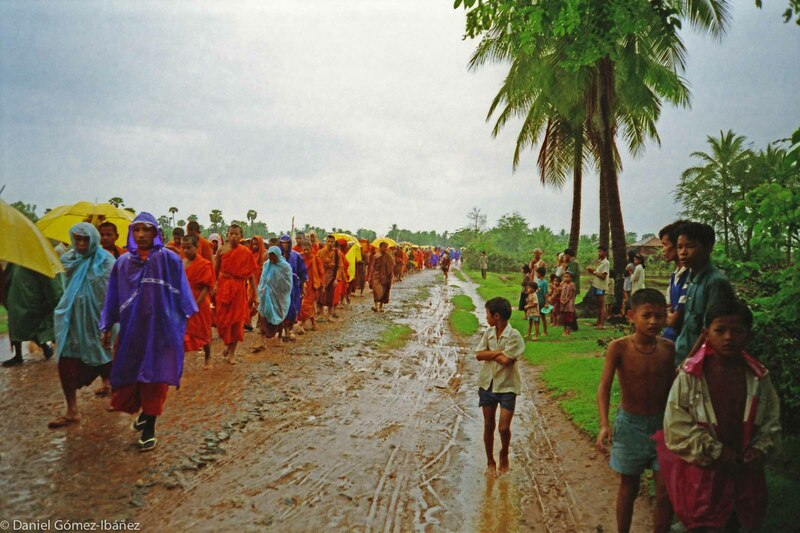 Many were seeing a monk or nun for the first time since the massacres of the Pol Pot years. The peace walk stopped to rest at a rural school. 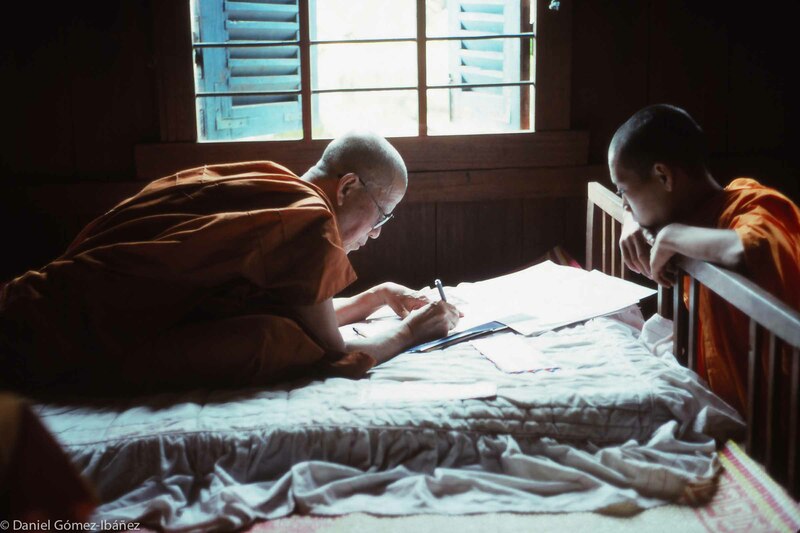 These young monks -- too young to remember the holocaust of the 1970s -- noticed the bullet holes in the walls. The school had been a place of executions. 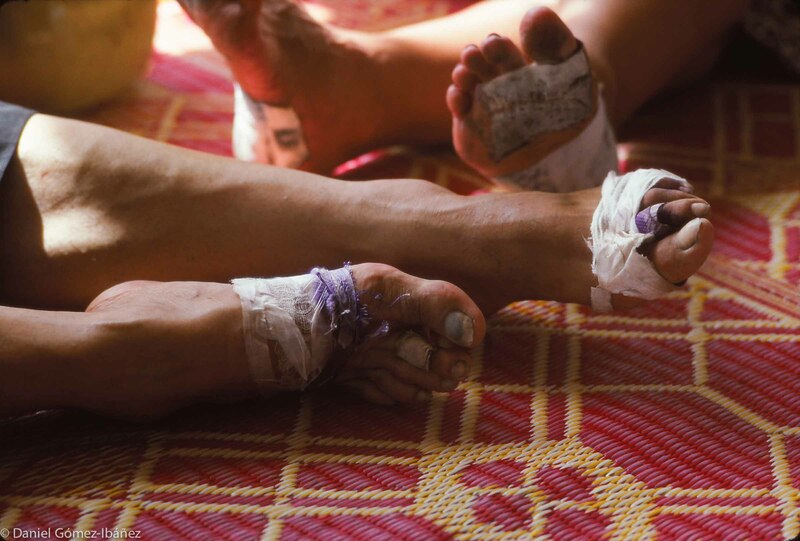 Blisters grew upon blisters, and feet had to be bandaged and disinfected every day. 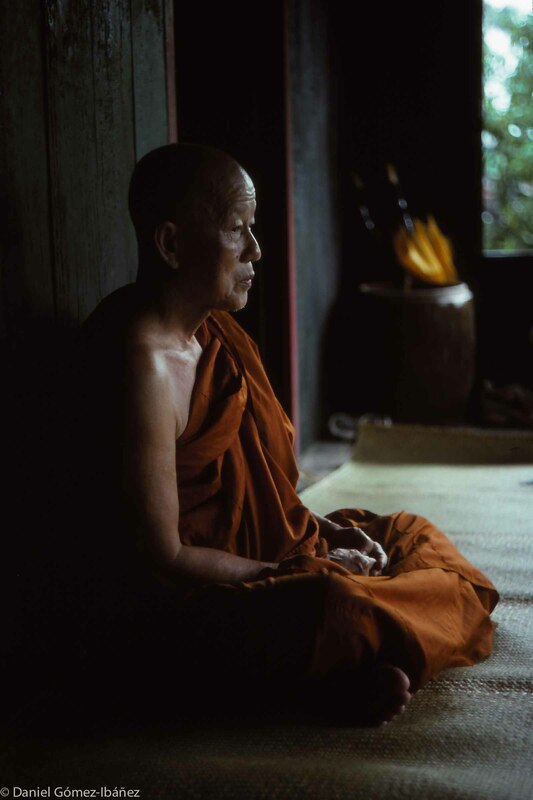 Samdech Preah Maha Ghosananda, Buddhist Patriarch of Cambodia (1929-2007). 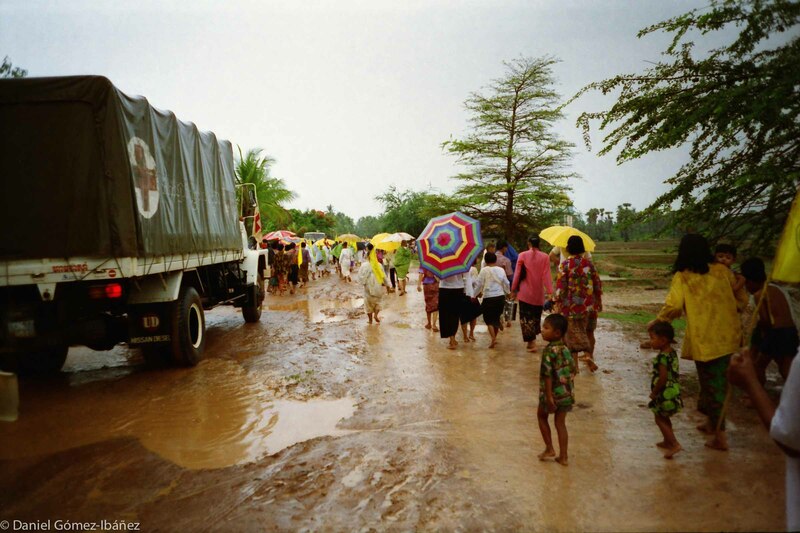 He led annual walks for peace through his troubled country during the 1990s and after, and it was he who almost single-handedly restored Cambodian Buddhism after the killing and destruction of the Khmer Rouge period.